To receive extra credit for BUSMHR 2292 for attending the Business Generating Good Summit, you need to check-in with Event Pass. 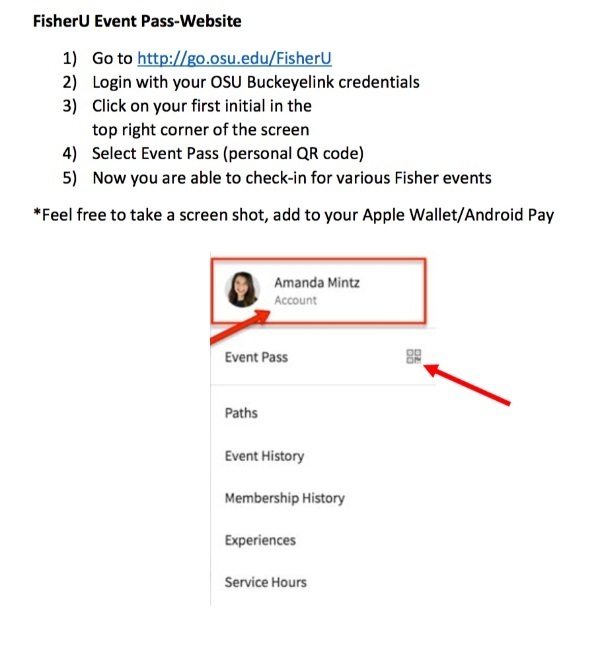 Your FisherU Event Pass unique code that allows you to quickly check-in to events happening on campus. Fisher units and student organizations will use the event pass for electronic event check-in.